Directions: Edgar Cayce said this formula was nourishing for the skin. For best results, apply after bath or shower and feel it soak into your skin. 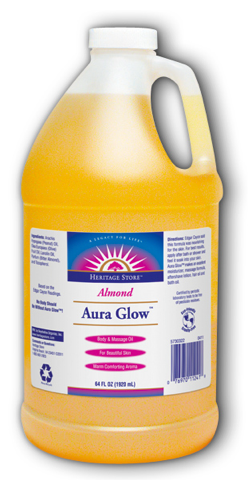 Aura Glow™ makes an excellent moisturizer, massage formula, aftershave lotion, hair oil and bath oil. Ingredients: Arachis Hypogaea (Peanut) Oil, Olea Europaea (Olive) Fruit Oil, Lanolin Oil, Parfum (Bitter Almond), and Tocopherol. Certified by periodice laboratory tests to be free of pesticide residues.